Cristina Bacalso	Back to the team overview. Cristina has a wide background in policy, with nearly twelve years of experience in research and analysis in governmental and non-governmental sectors internationally, including with the governments of Canada, United States, and a UN-backed international tribunal. She has an MA Development Studies and MA Public Policy as part of the Erasmus Mundus Masters Program, and has studied in Canada, the Netherlands, and Hungary. Cristina has worked with youth in various civil society organisations, primarily as a youth leader and volunteer. She co-founded the Hague Interns Association, an advocacy group that seeks to improve intern welfare and promote intern rights at the UN and international organisations, and the University of Calgary Red Cross Club, engaging young people in global humanitarian issues. 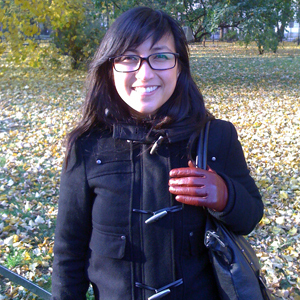 Cristina enjoys travel, cultural exchange, and loves all things related to food (both cooking and eating). Back to the team overview.